I imagine I came across Hyperion the latest release by NYC technical black metal act Krallice the way many fans did: After a night of college football and innumerable games of darts accompanied by just as many shots of Jägermeister, I awoke on my buddy’s couch on New Year’s Day and groggily reached for my phone, only to find an email from Bandcamp containing a gift from NYC’s favorite technical black/death/prog metal crew. I can hear Marston, Barr, McMaster and Weinstein now: “Hey, wouldn’t it be hilarious to drop an EP on New Year’s?” Because, y’know, nothing says “hangover cure” like relentless double bass reverberating through cavernous Menegroth production. And if it seems like Krallice just did this – yelled “surprise!” at the collective metal underground – well, it’s because they did the same thing back in July with full-length Ygg Huur. Two times may only be coincidence in the old adage, but it sure seems like the overnight, zero fanfare approach to releasing new material is developing into a habit for the quartet. It’s telling that Hyperion was recorded in July of 2013; the three songs which comprise its 23 minutes act as a virtual bridge between the thematic repetition of 2012’s Years Past Matter and Ygg Huur’s brisker, compact approach. 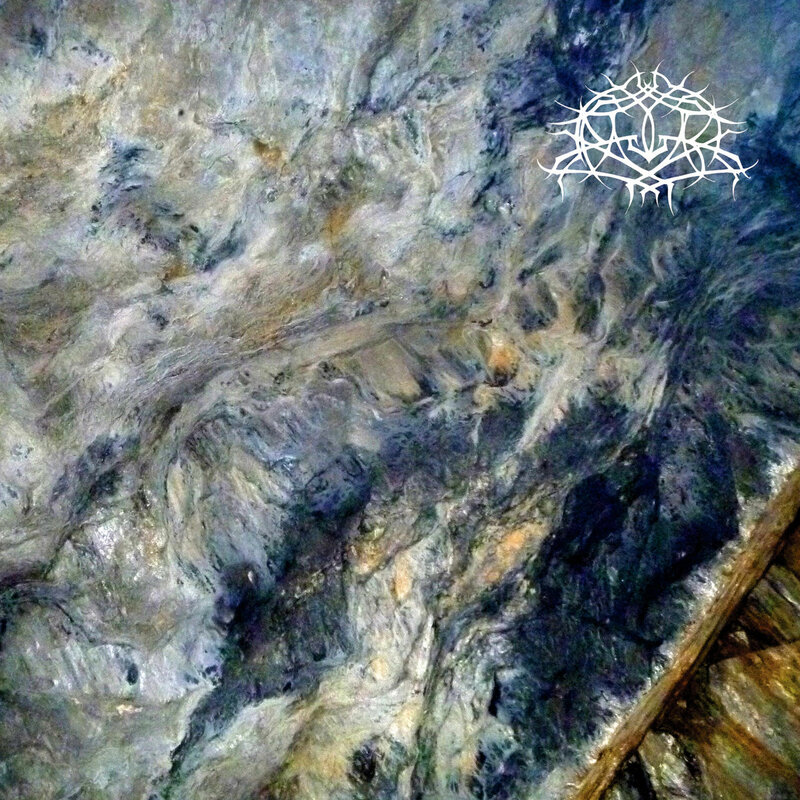 Present-day Krallice– while still retaining the same lineup – is a different beast than its pre-hiatus incarnation; shorter, to-the-point, but no less volatile. As such, Hyperion stands as a document of a band mid-transition, testing the extent of the newfound abilities gained from its members’ extracurricular activities in Gorguts (Marston), the resuscitated Behold the Arctopus (Marston again), death metal bass-drum duo Geryon (McMaster and Weinstein) and the evolving weirdness Mick Barr continues to unleash upon willing ears. McMaster, especially, is absolutely everywhere on this thing. His brimming confidence from Geryon is palpable as he boisterously slings his rubbery basslines over, under, through, just-freaking-all-over the wondrously jazzy stop-start on the opening title track. On “The Guilt of Time,” he thrums along to Weinstein’s strident double-kicks before launching into stratospheric hyper-speed plucks during his rhythm partner’s blasts. “Assuming Memory” is a veritable showcase for McMaster, as he leads off the track bobbing and weaving, carrying the song’s sliding riff structures, rising and falling with Marston and Barr’s inexorable tide before receding – ever so subtly – to a graceful end. What Krallice have given us here is a clue to just what the hell they were up to as a collective in the three-year interim between LPs. In that span Krallice trimmed down compositions and packed them full of riffs, an approach to which they would fully commit on Ygg Huur. Even “The Guilt of Time” feels unhurried at its relatively truncated six minutes: the band lays back in an ambient break at the song’s center before coming together for a dramatic conclusion punctuated by Weinstein’s snare rolls and Marston and Barr’s stop-start riffing. It’s the most Krallice-ish moment on the record, a uniting of each instrument to move together towards the same goal, the swirling mass of dust finally coalescing into a funnel cloud, if only for a minute. Krallice’s ability to speak as one entity despite the presence of so many disparate voices is what made us all turn our heads back in 2008 when the band emerged with little promotion, fully formed and with a sound seemingly crafted over eons. Maybe it’s been their habit all along and we’re just now catching on. Hyperion is self released and currently available at the Krallice Bandcamp. Follow Krallice on Facebook.